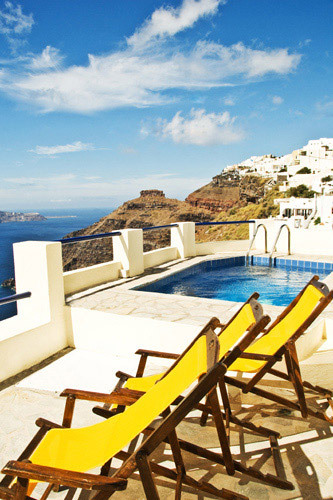 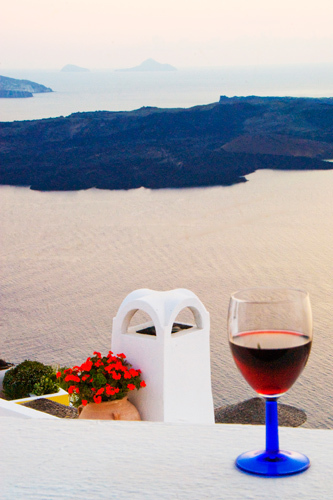 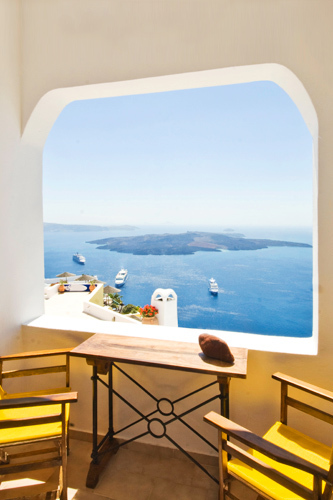 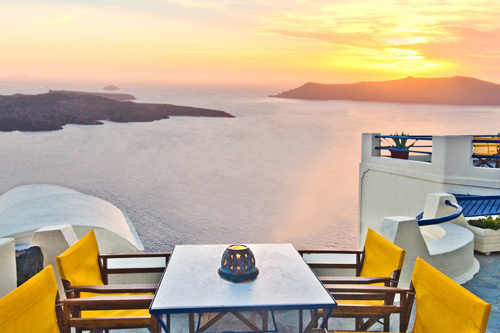 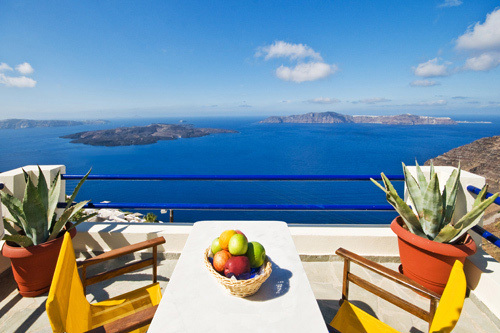 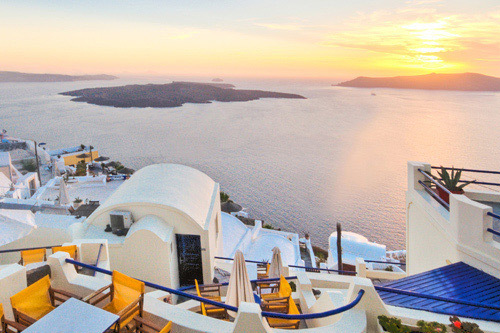 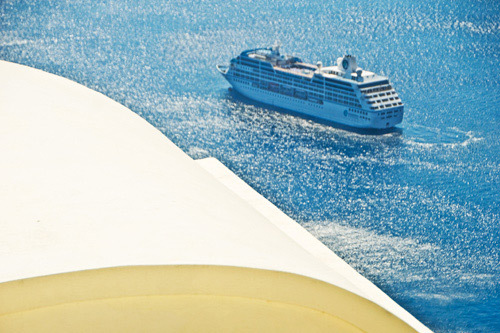 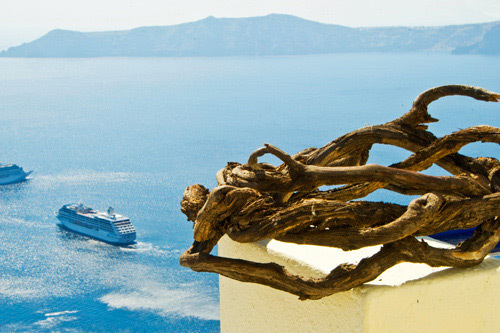 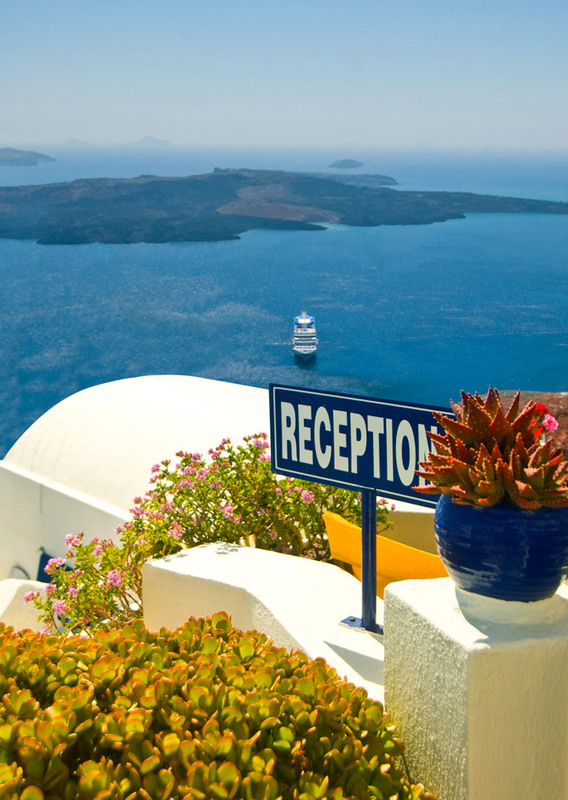 >> Panoramic view of the Caldera and the Volcano from the veranda of Efterpi villas. 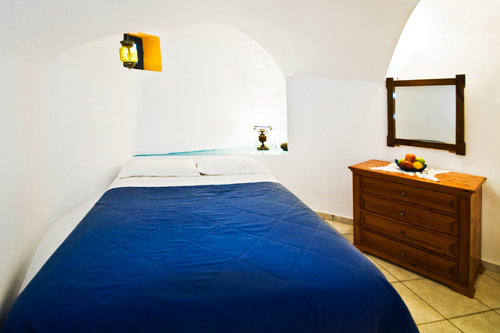 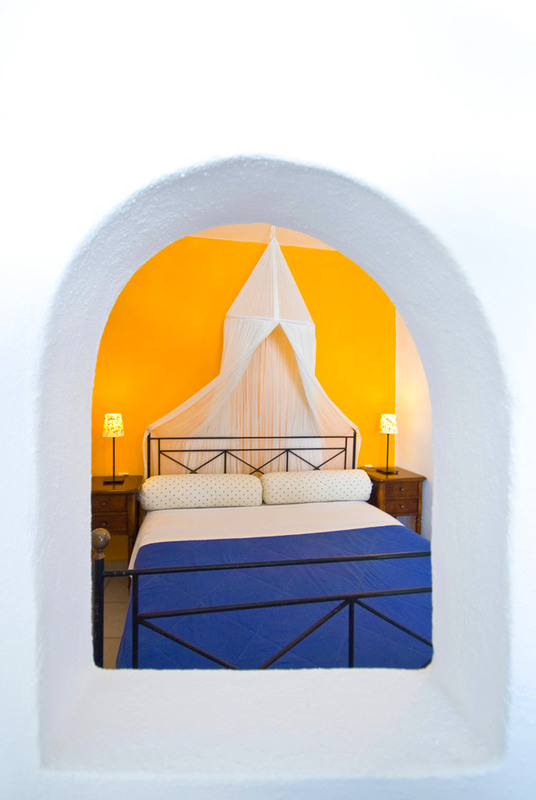 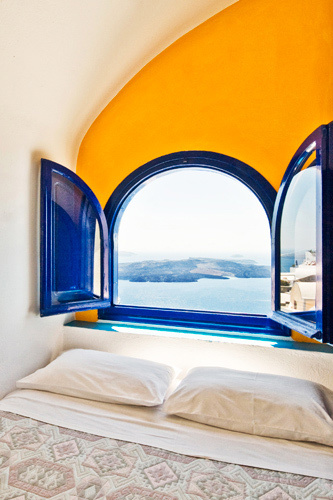 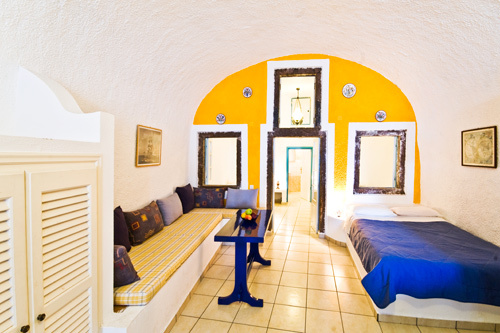 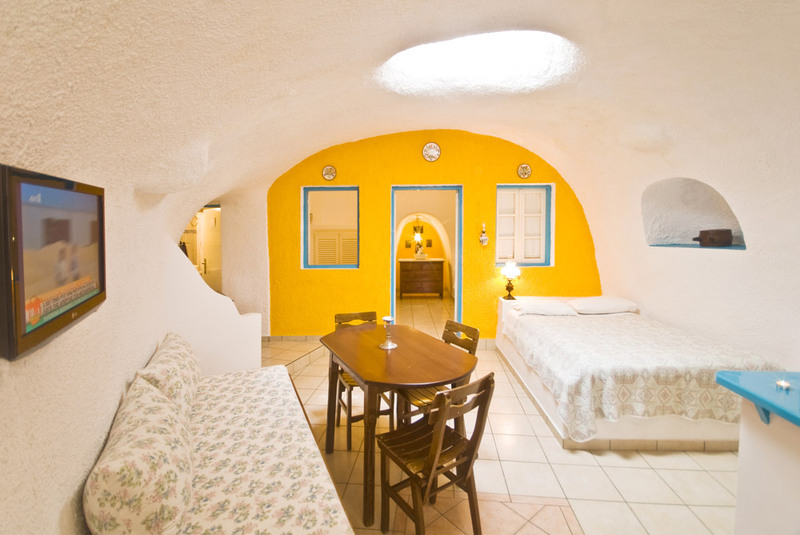 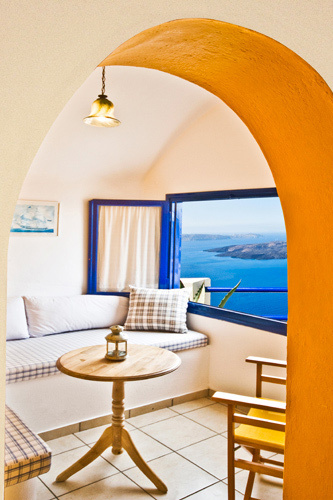 >> The inside view of the superior Studio of Efterpi Villa.The door leads to the terrace with caldera view. 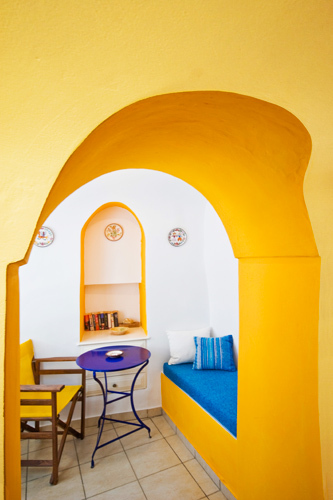 Address : 109, Magniton str.